Ivar Giaever (Norwegian: Giæver, IPA: [ˈiːvɑr ˈjeːvər]; born April 5, 1929) is a Norwegian-American physicist who shared the Nobel Prize in Physics in 1973 with Leo Esaki and Brian Josephson "for their discoveries regarding tunnelling phenomena in solids". Giaever's share of the prize was specifically for his "experimental discoveries regarding tunnelling phenomena in superconductors". Giaever is a professor emeritus at the Rensselaer Polytechnic Institute, a professor-at-large at the University of Oslo, and the president of the company Applied Biophysics. Giaever earned a degree in mechanical engineering from the Norwegian Institute of Technology in Trondheim in 1952. In 1954, he emigrated from Norway to Canada, where he was employed by the Canadian division of General Electric. He moved to the United States four years later, joining General Electric's Corporate Research and Development Center in Schenectady, New York, in 1958. He has lived in Niskayuna, New York, since then, taking up US citizenship in 1964. While working for General Electric, Giaever earned a Ph.D. degree at the Rensselaer Polytechnic Institute in 1964. The work that led to Giaever's Nobel Prize was performed at General Electric in 1960. Following on Esaki's discovery of electron tunnelling in semiconductors in 1958, Giaever showed that tunnelling also took place in superconductors, demonstrating tunnelling through a very thin layer of oxide surrounded on both sides by metal in a superconducting or normal state. Giaever's experiments demonstrated the existence of an energy gap in superconductors, one of the most important predictions of the BCS theory of superconductivity, which had been developed in 1957. Giaever's experimental demonstration of tunnelling in superconductors stimulated the theoretical physicist Brian Josephson to work on the phenomenon, leading to his prediction of the Josephson effect in 1962. Esaki and Giaever shared half of the 1973 Nobel Prize, and Josephson received the other half. Giaever's research later in his career was mainly in the field of biophysics. In 1969, he researched Biophysics for a year as a fellow at Clare Hall, University of Cambridge, through a Guggenheim Fellowship, and he continued to work in this area after he returned to the US. He has co-signed a letter from over 70 Nobel laureate scientists to the Louisiana Legislature supporting the repeal of Louisiana’s Louisiana Science Education Act. In 1985 he was awarded an honorary degree, doctor honoris causa, at the Norwegian Institute of Technology, later part of Norwegian University of Science and Technology. Giaever has repeatedly professed skepticism of global warming, calling it a "new religion." In a featured story in Norway's largest newspaper, Aftenposten, 26 June 2011, Giaever stated, "It is amazing how stable temperature has been over the last 150 years." On 13 September 2011, Giaever resigned from the American Physical Society over its official position. The APS Fellow noted: "In the APS it is ok to discuss whether the mass of the proton changes over time and how a multi-universe behaves, but the evidence of global warming is incontrovertible?" As part of the 62nd Lindau Nobel Laureate Meeting, Giaever commented on the significance of the apparent rise in temperature when he stated, "What does it mean that the temperature has gone up 0.8 degrees Kelvin: probably nothing." Referring to the selection of evidence in his presentation, Giaever stated "I pick and choose when I give this talk just the way the previous speaker (Mario Molina) picked and chose when he gave his talk." Giaever concluded his presentation with a pronouncement: "Is climate change pseudoscience? If I'm going to answer the question, the answer is: absolutely." Giaever is currently a science advisor with American conservative and libertarian think tank, The Heartland Institute. Giaever married his childhood sweetheart Inger Skramstad in 1952. They have four children: John, Anne, Guri and Trine. Giaever is an atheist. Giaever, Ivar (1960). "Energy Gap in Superconductors Measured by Electron Tunneling". Physical Review Letters. 5 (4): 147. Bibcode:1960PhRvL...5..147G. doi:10.1103/PhysRevLett.5.147. Giaever, Ivar (1960). "Electron Tunneling Between Two Superconductors". Physical Review Letters. 5 (10): 464. Bibcode:1960PhRvL...5..464G. doi:10.1103/PhysRevLett.5.464. Giaever, Ivar (1974). "Electron tunneling and superconductivity". Reviews of Modern Physics. 46 (2): 245. Bibcode:1974RvMP...46..245G. doi:10.1103/RevModPhys.46.245. ^ "The Nobel Prize in Physics 1973". Nobelprize.org. The Royal Swedish Academy of Sciences. 2011-06-27. Archived from the original on 2011-06-27. Retrieved 2011-06-27. The Nobel Prize in Physics 1973 was divided, one half jointly to Leo Esaki and Ivar Giaever "for their experimental discoveries regarding tunneling phenomena in semiconductors and superconductors, respectively" and the other half to Brian David Josephson "for his theoretical predictions of the properties of a supercurrent through a tunnel barrier, in particular those phenomena which are generally known as the Josephson effects". ^ a b Lundqvist, Stig (1992). "Biography". Nobelprize.org, Bio from Nobel Lectures, Physics 1971-1980, Editor Stig Lundqvist, World Scientific Publishing Co., Singapore, 1992. The Royal Swedish Academy of Sciences and World Scientific. Archived from the original on 2011-06-27. Retrieved 2011-06-27. ^ Giaever, I. (1960). "Energy Gap in Superconductors Measured by Electron Tunneling". Physical Review Letters. 5 (4): 147–148. Bibcode:1960PhRvL...5..147G. doi:10.1103/PhysRevLett.5.147. ^ Bardeen, Cooper, and Schrieffer won the Nobel Prize in Physics in 1972 for this theoretical advance, which bears their initials. ^ "Gruppe 8: Teknologiske fag" (in Norwegian). Norwegian Academy of Science and Letters. Retrieved 7 October 2010. ^ Strassel, Kimberley A. (2009-06-26). "The Climate Change Climate Change The number of skeptics is swelling everywhere". wsj.com. The Wall Street Journal. Archived from the original on 2011-06-26. Retrieved 2011-06-26. Dr. Kiminori Itoh, a Japanese environmental physical chemist who contributed to a U.N. climate report, dubs man-made warming "the worst scientific scandal in history." Norway's Ivar Giaever, Nobel Prize winner for physics, decries it as the "new religion." ^ a b "U. S. Senate Minority Report: More Than 700 International Scientists Dissent Over Man-Made Global Warming Claims Scientists Continue to Debunk "Consensus" in 2008 & 2009 (Updates Previous Report: "More Than 650 International Scientists Dissent Over Man-Made Global Warming Claims")". epw.senate.gov. U.S. Senate Environment and Public Works Committee (Minority). 2009-03-16. Archived from the original (pdf) on 2011-06-26. Retrieved 2011-06-26. Nobel Prize Winner for Physics in 1973, Ivar Giaever, a fellow of the American Physical Society, declared himself a dissenter in 2008. "I am a skeptic," Giaever announced in June 2008. "Global warming has become a new religion," Giaever added. "I am Norwegian, should I really worry about a little bit of warming? I am unfortunately becoming an old man. We have heard many similar warnings about the acid rain 30 years ago and the ozone hole 10 years ago or deforestation but the humanity is still around. The ozone hole width has peaked in 1993," he continued. "Moreover, global warming has become a new religion. We frequently hear about the number of scientists who support it. But the number is not important: only whether they are correct is important. We don't really know what the actual effect on the global temperature is. There are better ways to spend the money," he added. ^ Morano, Marc (2009-03-17). "U.S. Senate Minority Report Update: More Than 700 International Scientists Dissent Over Man-Made Global Warming Claims". epw.senate.gov. U.S. Senate Environment and Public Works Committee (Minority). Archived from the original on 2011-06-26. Retrieved 2011-06-26. "I am a skeptic… Global warming has become a new religion." – Nobel Prize Winner for Physics, Ivar Giaever. ^ Giaever, Ivar (2011-06-26). "De forunderlige klimamytene (The peculiar climate myths)". aftenposten.no (in Norwegian). Aftenposten. Archived from the original on 2011-06-26. Retrieved 2011-06-26. It is amazing how stable temperature has been over the last 150 years." translated from "Det er fantastisk hvor stabil temperaturen har vært de siste 150 år. ^ "Nobel Prize-Winning Physicist Resigns Over Global Warming". Fox News. 2011-09-14. Retrieved 2017-06-14. 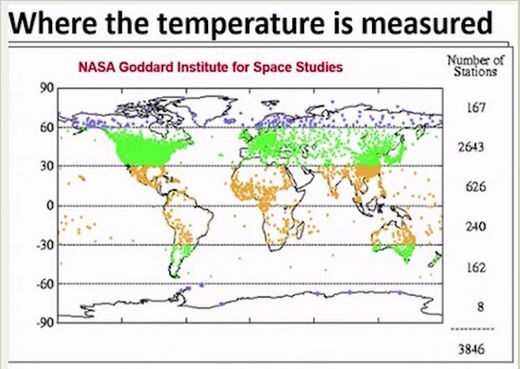 ^ original graph from NASA's GISS GISTEMP, as captured from the video of Giaever's 2015 lecture. ^ "Ivar Giaever Profile". The Heartland Institute. May 31, 2016. Retrieved June 9, 2017. ^ Giaever, Ivar (November 2016). "I Am The Smartest Man I Know": A Nobel Laureate's Difficult Journey. World Scientific. ISBN 978-981-3109-17-9.